Meller’s New Managing Director, Colin Cox. We are delighted to announce Colin Cox has stepped into his new position as Managing Director at Meller, taking over the helm from Graham Cartledge. Colin will take over his new role with immediate effect. 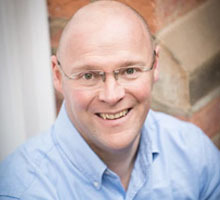 For the past 20 years, Colin has acted as a Director within Meller and has been integral to developing and growing Meller’s business, as well as delivering many successful capital projects. Working closely with the Associate Directors, Colin will be will be responsible for developing Meller’s strategy and taking Meller to the next stage in its evolution. As one of the founding partners of Meller, Graham will not be disappearing entirely. He will be acting in an advisory role on key projects as we move forward into the next stage of Meller.